What's the best way to upsell but with your customer's feedback! Upsell your reviewed products automatically! Randomly displays reviews and ratings (if any). 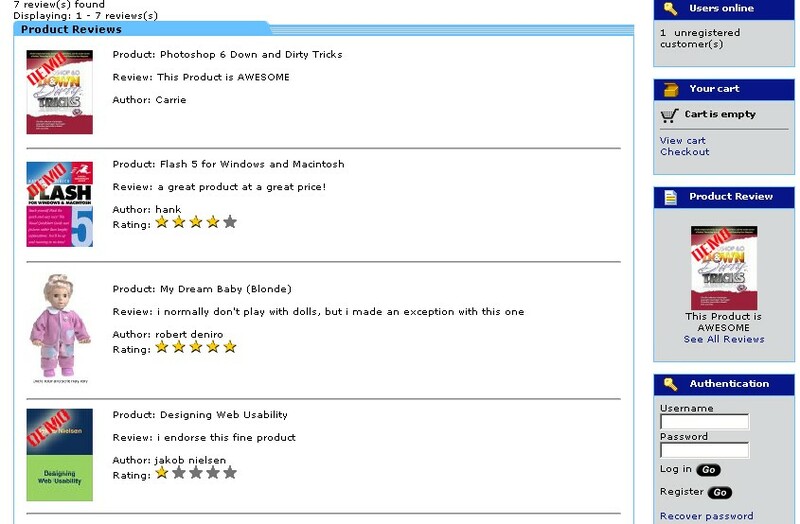 While browsing the categories, Customer Review Viewer will feature products relevant to that category. Random products from the store will be displayed if there are no relevant category products. A featured quick link to view all store reviews. Ability to configure the ratings threshold (default set to 3 stars). Save money by getting this in our Bundle pack! Click for details!